By Peter Anderson 2 Comments - The content of this website often contains affiliate links and I may be compensated if you buy through those links (at no cost to you!). Learn more about how we make money. Last edited March 8, 2019 . 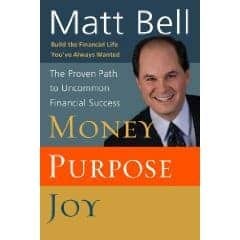 A while back I received a review copy of a new book that had just come out called Money, Purpose, Joy written by personal finance author and speaker Matt Bell. A week or two ago I finally decided to pick up and start reading the book. Shortly after reading the first chapter or two I met the author on twitter (@mattaboutmoney), and mentioned how I was reading his book, and How I had enjoyed it so far. After talking further he agreed to write an article for my site, and to do an interview after I had read the book. 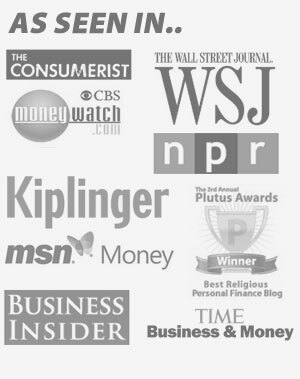 You can read his article about teaching kids about money online – here. I finished the book this week and have finally gotten around to writing a recap and review. The book is just shy of 200 pages long, and is broken up into several easily digestable sections. Where We Are: This section talks about how we have wandered from living a truly purposeful and joyful life – in order to live life in a way that our culture deems “successful”. We have become like prodigal sons (and daughters) and find ourselves far from home, looking for joy and purpose in the world when it can give us nothing but broken promises and sorrow. We have become a nation of consumers (people who use things up and discard them) instead of a nation of builders (using money for a purpose) as God has intended us to be. Where We Belong: This section talks about what truly matters in our lives. Things like relationships with others around us, the contribution we can make, and faith. You can only find true happiness through faith, and through a personal relationship with Christ. How We'll Get There: This section begins talking about how to to get to the end point of finding purpose and joy in your financial life. It begins with finding joy through the “irrational act” of giving, and talks about how we truly receive more than we give. It then goes on to wade into the weeds of more nitty-gritty financial topics – about giving, saving, emergency funds, dream savings and getting out of debt. Help For The Journey: This section delves into topics of budgeting, cash flow planning, comparing budgets vs. actual spending, and then in a section called “teaching money to dance” it gives all sorts of tips and tricks to help you to train your money what you want it to do. Matt Bell begins the book by talking about his life story. As with many authors, I believe it's the re-telling of his own story that makes the rest of the book so powerful. He compares his story to that of the prodigal son found in Luke 15:11-32. In that parable the son of a wealthy man takes his inheritance early, squanders it, hits rock bottom and then finds his way home to ask forgiveness of his father. In the same way, Bell squandered an inheritance left to him by a well off uncle. He took his $60,000 inheritance, quit his job, and then proceeded to spend the money without a solid plan. He created his own day job, writing a golf newsletter for people who took expensive golf vacations. He traveled across the world, golfing and spending his uncle's money – but never really turning the newsletter into a successful venture. Even while he wasn't making any real money, he continued living the high life eating at expensive restaurants and wearing the finest clothes. Finally, two years after receiving the inheritance Matt found himself with no more money and $20,000 in debt. He hit rock bottom, moved back in with his parents, and was graciously received by them. At this point Matt began receiving people in his life who helped him to turn things around. One friend brought him to Christ and then talked to him about turning his finances around. Matt devoured all the personal finance reading he could get his hands on. He slowly began to realize that one's faith and finances are truly intertwined, and should not be separate. Once he began to live in a way truly honoring to God, things began to turn around. 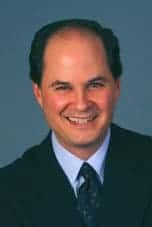 Bell began to see that many of the messages our culture sends to us about money are completely wrong – they lead us down the wrong path and turns many of us into prodigal sons and daughters, just like him. Those messages tell us that we'll find happiness and joy through the thing we buy and that if we own certain homes or cars that others will respect us. In the end if we let those distractions grab us, we lose out on a higher purpose and joy that can only be found through Christ, and through managing our money in a Godly way. 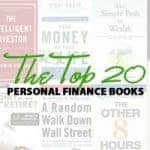 Money Purpose Joy is one of the better Christian personal finance books that I've read in the past year. 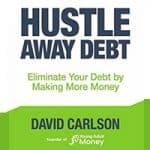 Not only does it give solid financial advice – talking about budgets, cash flow plans, ways to cut expenses and more – but it also holds your attention throughout with the solid storytelling and concrete examples that make the points of the book pop. I highly recommend this book as an entertaining and educational read. Stay tuned as I hope to interview the author in the coming week or so. Have a question that you'd like me to ask? Leave a comment and I'll try to work it in! Want to check out one of Matt Bell's books, or other resources? Here's a list of his books, his website and his twitter stream! I read this book, too. 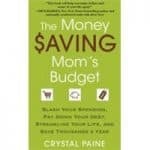 I thought it was a very practical way of looking at money from a Christian perspective. Thanks for sharing your review of the book. One of my friends recommended me this book. I was reluctant in getting the book since I needed to know more about at least. There’s hardly any book reviews on Money, Purpose, Joy. I knew I’d be reading a book about finances in a Christian perspective, so I wanted to see what more I can probably get from the book. Thank you for the review. I think it’s gonna be a good read.